The big Arrow/Constantine crossover episode airs tonight on the CW, and it might not be the last time we see the two together. In an interview with The Wrap, Arrow showrunner Wendy Mericle suggested a possible return for the Matt Ryan character. In May, NBC cancelled Constantine after only one season and 13 episodes. Recently, executive producer Daniel Cerone released an original episode 14 script on his Twitter and urged fans to watch the crossover episode. The episode of Arrow, titled “Haunted,” is the first glimpse of the character since Constantine‘s cancellation. While the possibility of a season two for Constantine may still hang in the air, Mericle responded enthusiastically to the idea of Constantine returning to Arrow. What do you think? Are you a fan of Constantine and/or Arrow? Do you hope to see more Constantine on Arrow? More about: Arrow, Arrow: canceled or renewed?, Constantine, Constantine: canceled or renewed?, The CW TV shows: canceled or renewed? Constantine: Series Returning? Vampire Diaries Ending? i hope you contantine fans watch cw arrow episode 4 in support of constatine.??? Constantine was a terrific show that got handled poorly. I’d love to see this series continue. Yes we love to see constantine back please please and great crossover . Yes!!! More Constantine. Matt Ryan was Amazing! Constantine appearance felt natural to the show. I hope to see him back on Arrow and/or Flash soon. CW please take note. Yes!!! More Constantine. Mat Ryan was Amazing! Constantine appearance felt natural to the show. I hope to see him back on Arrow and/or Flash soon. CW please take note. 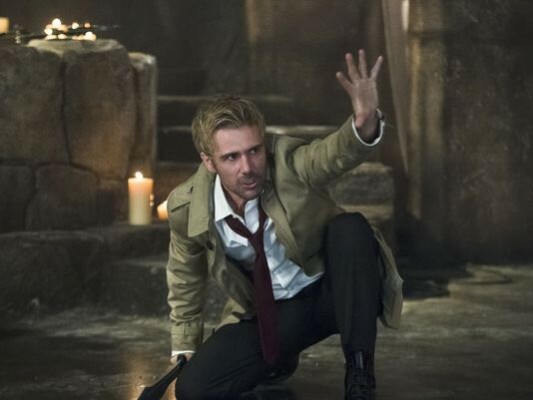 They should put Constantine put into Supernatural. He could be so good in Supernatural! He does what they do almost alike. Yes, yes, yes, want to see more of Constantine. Loved the show. Love Constantine and Arrow! More crossovers please and a Seco d season would be great! CW please pick up the show!! Excellent show. those two work well together and the writers did a great job. I hope to see more. Yes, Yes, Yes!!! Bring Constantine back! They always take off the good shows!!! Bring it to the CW!